Rekommenderas denna bräda för en åkare på 63 kilo? If you like a board that flexes, you will find that this board has a lot of flex for you. Too much? Too little? That really depends on your personal preferences and the only way to find out is to try for yourself. Do not let anybody else tell you what you like or do not like! This board is really popular with beginners, but perhaps not the easiest board to learn with since we believe that it takes less effort to ride a lower and wider board. Try it before you buy it is always something to consider! är denna brädan bra för transportering, till skolan och i staden ? har aldrig åkt longboard förut. This board works well for transport/city. Hej har är helt ny på longboard . Jag letar en longboard för transport mellan skolan och som funkar inne i stan. 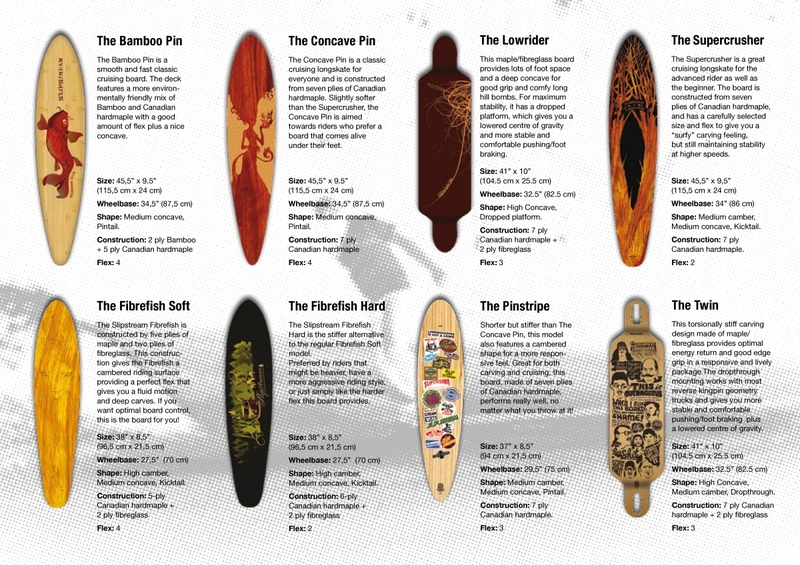 This board will work good for you – You might want to check out “The Buddy” as well though! If you are used to riding a non flexing, low board, this will be quite a different experience. You get used to the flex and camber pretty fast though. You should probably try it before you buy it if possible, but this is a fun ride! jag och min polare har bestämt oss för att skaffa en longboard till vår/sommaren nu 2012! A longboard is much a personal choice. It depends on how much you have ridden, what you like, what you want to ride, etc. The best would be to try out the decks before you buy. 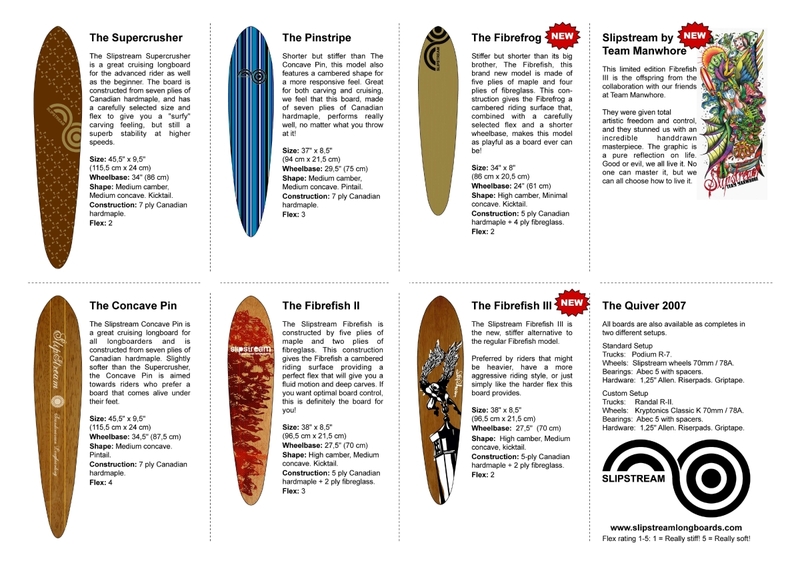 You can try all our boards on demos throughout the spring and summer. 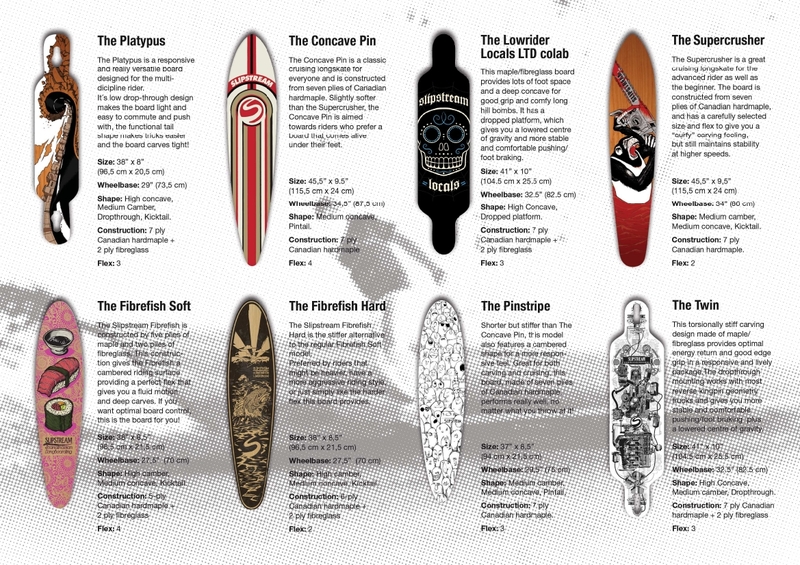 However if you want your board right away I can give you some ideas for where to start. Lowrider: This board is dropped wich means that you get the center of gravity lowered and therefore a more stable board. Lots of space for your foots. Pinstripe: Based on a classic (Concave Pin) shape we’ve made this board shorter and stiffer for a more lively feel. Platypus, Hammer & Twin are all drop through boards wich means that the truck is mounted on the top side of the board. This also gives you a lower center of gravity. These boards are designed a little bit more for tricks and slides but works just as fine for cruising and carving. Hope that helps! If you have any more question just contact us. Good luck! Thanks, that helped a lot! !